XAKANAXA (Pronounced Ka-Kan-A-Ka) is the original camp and is situated within the Moremi Wildlife Reserve. 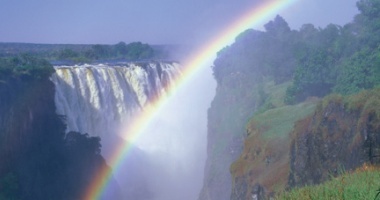 It is located 50kms to the west of the Khwai in the northern sector of MOREMI. The camp is one of the few Okavango lodges, which can offer comprehensive year-round boating trips as well as extensive nature drives into good game country. It has one of the best locations in Botswana and is the original camp at Xakanaxa. Set in the heart of the Moremi Wildlife Reserve which is rated as being one of the finest game-viewing areas in Africa, incorporating most of the Delta water and a vast selection of exotic wildlife. 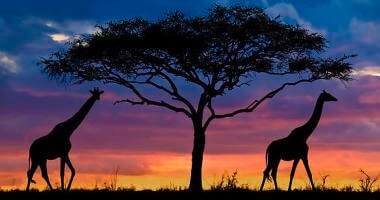 To the south and east the reserve offers sanctuary to the most varied herds in Southern Africa. To the north and west of the lodge are the permanent lagoons and waterways of the Okavango. 12 luxury, twin-bedded, spacious safari tents set on a wooden platform with en-suite hot and cold shower, flush toilet, wash basin. Each tent is well furnished with comfortable beds, tables and chairs. The atmosphere is rustic and friendly. The service is highly personalized and of an excellent standard. The camp consists of 12 luxury, spacious safari tents with en-suite facilities. They are fully equipped and tastefully furnished. Xakanaxa is one of the few Okavango lodges which can offer comprehensive year-round boating trips as well as extensive nature drives into good game country. To the north and west of the lodge are the permanent lagoons and waterways of the Okavango, and to the south and east are the dry woodlands. Elevated, thatched-roofed, reeded main dining room and bar, overlooking the Xakanaxa lagoon. Curio shop. The dining-room is open-fronted with reed walls and a thatched roof and has a fully-stocked bar. The centerpiece in the dining room is a table tailor-made in old railway sleeper timber. We offer wholesome meals, candle-lit dinners and a selection of fine wines. The service is personalized and of a high standard. A rustic and friendly atmosphere prevails. The game drives through this sector of Moremi take one through a large variety of different vegetation types, down winding tracks, through mopane forests and across lush grasslands. The waterways are either forded by vehicles or crossed on rustic log bridges. The camp faces out over the Xakanaxa lagoon on the Khwai River, where boat trips lead into the sinuous channels of the Delta; one of Africa's greatest natural wonders. Game in the area includes just about everything imaginable - all the Moremi game can be seen on the game drives, including tsessebe, lechwe, wildebeest, impala, waterbuck, elephant, sable and giraffe. 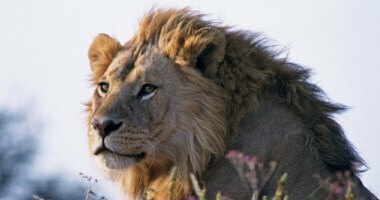 The predators are prevalent and lion are often heard calling in the early morning. Leopard, wild dog and hyena are often sighted. Birding in the area is excellent, especially in the spring and summer months when the migrants are breeding. To the north are the world-famous heronries which attract large numbers of breeding storks and herons. In the summer months the fishing is very good. Mainly bream (Tilapia) but there are also tiger fish. 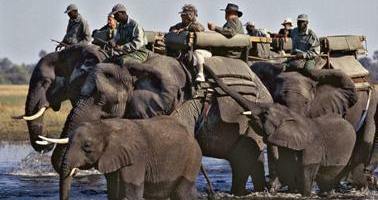 Boat trips and game drives are conducted by a team of experienced professional guides. Accommodation Rates:- From $620 per person per night sharing. Please contact us for a quote and suggested itinerary.